One of the oddities in this list is variants of D&D will appear multiple times while games like Call of Cthulhu will appear once. However, I've found many of the editions of D&D are extremely different from one another. If you showed up at my Call of Cthulhu 7th edition game with a 1st edition character, we could probably convert on the fly. On the other hand, bringing a D&D 3.5 character to a 4th edition game would not work. Additionally, there will be a few retro-clones on this list - primarily if they bring something very new to the gable. 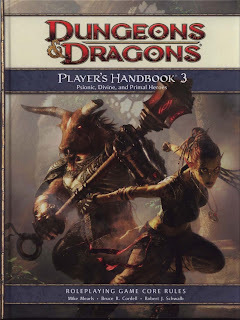 While D&D 3.0 and D&D 3.5 do have some fair-sized differences, it is clear that 3.5 is an evolution from 3.0 as opposed to an entirely new game, as was done in 4e. It was tough for me to figure out where D&D 3.x should rank. I want to point out that any game on this list is a game I've both played and enjoyed - and there are a few games not on the list that I've also enjoyed quite a bit. In the late 1990s I resumed regular gaming for the first time since high school. 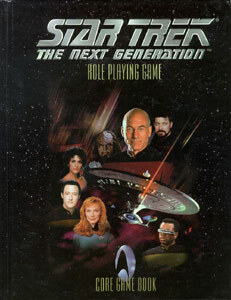 The game we played was Star Trek: The Next Generation, published by Last Unicorn Games (LUG). We played all the incarnations of it - they came out with three RPGs for Star Trek. Their first release was for Star Trek: The Next Generation, covering 24th century Starfleet games. They later came out with releases for the original series and for Deep Space Nine. I really liked their DS9 game as it allowed for a variety of character types, much like the television show it was based on. When making this list, I gave some thought to all of the Star Trek RPGs I've played. I've played the FASA, Last Unicorn, and Decipher ones. I do have a place in my heart for the FASA game, though I found its extremely tactical combat system a bit of a mismatch for its genre. The Decipher game I didn't get to play all that much. It was the Last Unicorn version I got a ton of play out of. The Art of Madness is an adventure from the anthology The House of R'lyeh, written by Brian Courtemanche. In the basement they saw a closed shaft in the floor. Hiding for some time they saw the shaft open from below, a rubbery hand emerging and grabbing it. As they ran to the shaft to attempt tracking it, it heard them and leapt back up - a hideous ghoul, about to strike! A confused melee and firefight broke out. Furst and Crowley opened fire on it while Tardiff swung a makeshift club he'd found in the debris in the basement. It was a dangerous foe and none of them were warriors. Though bloodied, they wounded it enough to drive it into the tunnels. In the chaos Thurber had run off. Today's game just barely meets the criteria of being a game I've played, having only played a few sessions - but I loved those sessions. 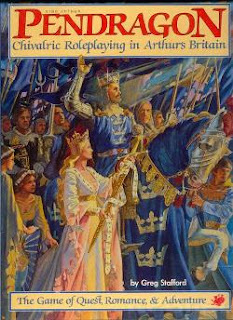 King Arthur Pendragon, originally published by Chaosium (and kinda sorta having found its way back to Chaosium, the long way round). Pendragon is a game about playing knights in legendary England, as seen through the legends of King Arthur. Its biggest influence is Sir Thomas Malory's Le Morte d'Arthur. You typically build your character, assumed to be a knight, by first building his grandfather's and then father's history. The game itself is designed to follow your characters for decades - indeed it is expected your character will die in the course of play, either in battle or through old age. Every session is designed to advance your character a year. Finding a wife and getting an heir is therefore of prime importance for your character. 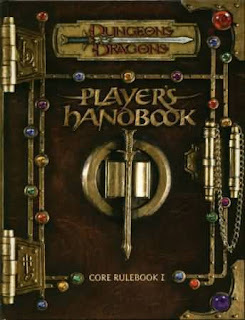 I gave a lot of thought as to whether to include the 4th edition of Dungeons & Dragons on my list. Of all the games on my list it's probably the one I have the most issues with. On the other hand, I really like a number of ideas that the designers of D&D 4e tried to do. They took some chances, broke a number of "sacred cows of D&D". Looking back, I think Wizards of the Coast would have been better off making D&D 4e a separate/non-D&D game. though I can understand not wanting to have products competing with each other. I'm going to be launching a "Dan's Top 19 RPGs" series of posts. 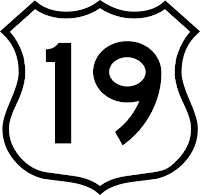 I was going to make it ten but with the name of this blog I couldn't help but go for nineteen. I'm hoping to get it done in about a month - it's been pretty hard keeping to a rigorous schedule the past several months, with family health matters and me getting close to completing my Master's degree while working. This post will lay out some ground rules. The most important is I have to have played the game in question at least once, either as a player or as a GM. This will disqualify a lot of popular games - many of which I've used in some form - some of which I've used a lot of. I'll list them at the end of this post. While Chaosium has produced sourcebooks for many locations in Lovecraft Country (Kingsport, Arkham, and Innsmouth) as well as non-fictional cities of the 1920s (such as New York City and New Orleans), the nearby city of Boston, while being featured in many adventures, has never received its own full sourcebook. 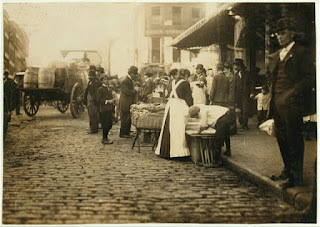 The most common era for my Call of Cthulhu games has been in the 1920s - some campaigns have been in New York City while others have been in Lovecraft country. 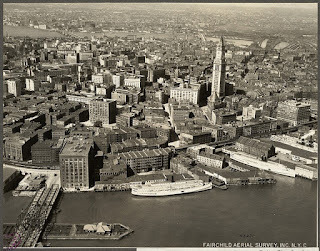 For those in Lovecraft Country, many adventures have been in nearby Boston. Over the years I've slowly been building up some expertise in the area and I thought it might be of interest to others gaming in the same setting - whether with Mythos horrors or a purely mundane game.